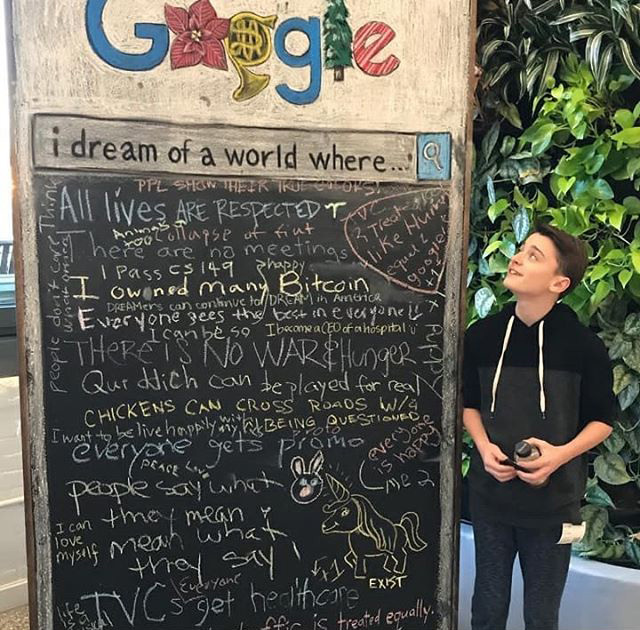 Somewhere at a Google office in the world is this huge sign and chalkboard where Googlers and guests can write what they dream of for their world. It shows a holiday Google logo and search box that reads "I dream of a world where..." and then you can write your answer below. Someone wants Bitcoin while others want peace and respect.